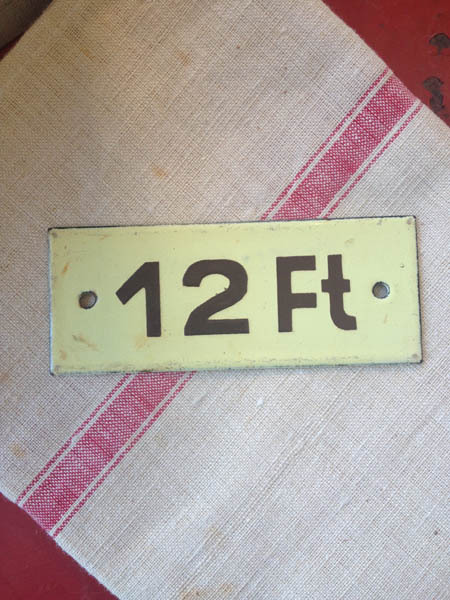 "12ft" Wonderful antique enamel number in unique yellow background with soft brown lettering. Rectangle measures approx 4 x 1.5 ". Sold individually. France, circa early 1900's.